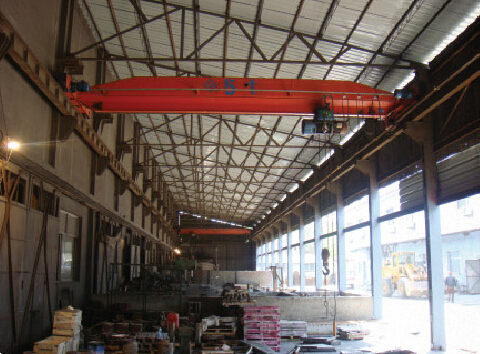 LDY electric single-girder crane, complying with JB/T1306-2008 standards and relevant requirements of the AQSIQ375．can be used to hoist and convey molten metal and assemble modules in small-scale foundries. 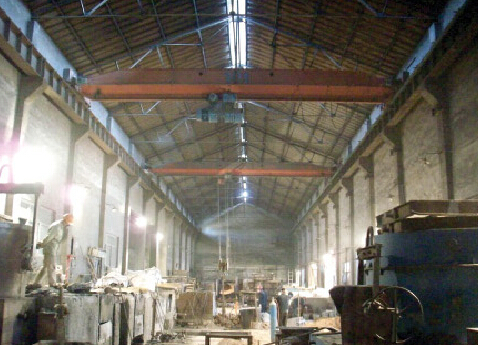 1.The main girder and end carriage’s frames refer to those of LDA crane. 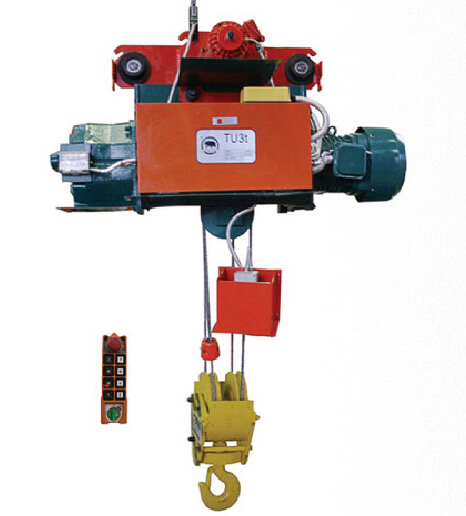 2.Hoisting mechanism, mainly used for casting,matches with electric wire rope hoist with single-speed or two-speed. The hoist is characterized with dual brakes, double Iimiters of displacement and overload protection and its cassification group is not less than M6. 3.The travelling mechanism adopts motors with soft-start and braking function. 4.The manipulation of this crane is required to stay away from thermal-radiated sources. It is generally manipulated by remote control or cab"s，if ground button control is required, a separate slide should be added.